When pint-size dynamo Manny Pacquiao takes on boxing great Floyd Mayweather Jr. on May 2, the man giving the orders in the Filipino’s corner will be famous trainer Freddie Roach. 55-year-old Freddie Roach began his career as cornerman in 1986, under the tutelage of renowned boxing trainer Eddie Futch. Since then, Roach has gone on to train 27 world champions including Manny Pacquiao, Oscar De La Hoya, Miguel Cotto, and Mike Tyson. Roach is an offensive-minded trainer who prefer his fighters press forward and exchange, instead of “hitting and not getting hit.” He has a reputation for reinventing established boxers and helping them take their fight game to the next level. When Manny Pacquiao came to Roach, he was one-armed brawler relying solely on his left hand to oust his opponents. Roach turned Pacquiao into one of the most complete boxers in the sport. In 1990, Roach began showing symptoms of Parkinson’s Disease, a progressive disorder of the nervous system that gradually affects movement. Growing up in Dedham, Massachusetts, Freddie and his brothers Pepper and Joey were taught the sweet science of bruising by their old man, Paul Roach, himself a New England featherweight champion in 1947. Having taken the boys as far as he could, Roach Sr put them under the charge of New England trainer Tariq Nasiri. Known as the ‘The Choir Boy’ back then, 5-foot 5-inches tall Freddie turned professional in 1978 and went on to win his first 10 fights. By the time Roach retired at age 26, he had professional record of 40-13, with 15 victories by way of knockout. In 1986 Roach unsuccessfully challenged Darryl Tyson for the WBC Continental Americas lightweight title. His last fight was in 1986 against palooka David Rivello. Freddie Roach doesn’t limit himself to training boxers.Since 2008, Roach has been taking MMA fighters under his charge and finding success in the octagon. 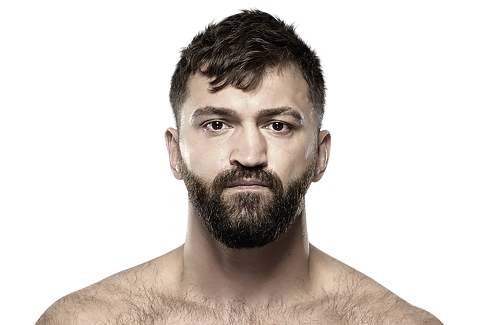 Since working with Andrei Arlovski in preparation for his fight against Ben Rothwell, Roach has seen a steady stream of MMA’ers coming through his gym, including Georges St. Pierre, BJ Penn,Anderson Silva, Dan Hardy, Tito Ortiz, and Rameau Thierry Sokoudjou. Nowadays, when preparing for boxing roles, movie stars turn to none other than Freddie Roach. Convenient for the Hollywood crowd, Roach’s Wild Card Boxing Club is located in Los Angeles, a stone’s throw from Sunset Blvd and has seen the likes of Mark Wahlberg (training for the film The Fighter), Mickey Rourke, and Boardwalk Empire’s Michael Pitt. We have what you need to know about the man in boxer Manny Pacquiao's corner, legendary trainer Freddie Roach.